For its price, the DW680 is a mini beast of a planer. 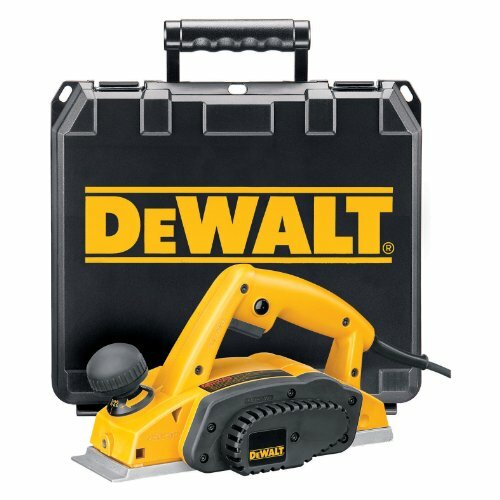 Highly portable and extremely efficient, the DW680K hand planer from the house of DeWalt can reach cut depths of 3/32” on a single pass, thus making it an adept tool for hogging off a lot of material in a short period of time. With a 7-amp, 15,000RPM motor at its heart, this heavy duty hand planer takes on the hardest of woods and still manages to produce a smooth and even finish every time. The combination of high speed, resharpenable carbide blades with the DW680K’s precise machining make it perfect for framing as well as straight cut applications. The calibrated depth adjustment knob at the front of the planer ‘locks’ the cut depth thereby removing the need to reset the machine during a project. 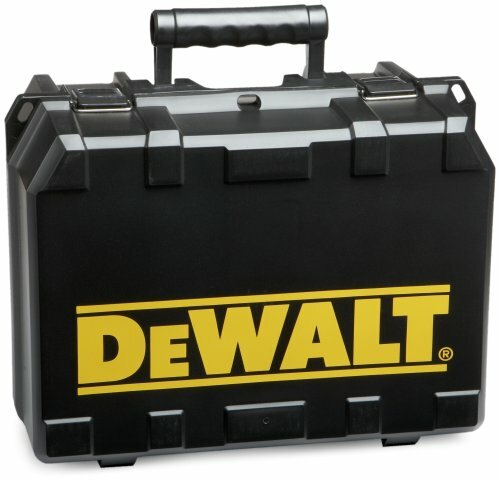 Now, when we took to reviewing the DeWalt DW680K, we were aware of the limitations of a hand planner in what it could and could not do. So instead of unrealistically pushing its limits, we put it through the applications that it was designed to perform to evaluate its worthiness. We first put the trimming abilities of the DW680K to the test by using it on a door in the office that was dragging on the carpet. After setting the right depth of the planner, we put it to work on the door. Two swipes later, the door was freely swinging without any obstruction from the carpet below. Similarly, when we wanted to raise the base of soffit by ½ an inch, the tool was able to remove the extra material off the soffit in no time. Another goofy yet equally practical application that we found suited the DW680K was tapering. As such, when we wanted to have a piece with 3” at one end and taper it to 2 ¾” thickness as it reached the other end, all we had to do was rotate the depth adjustment knob of the DeWalt hand planner at strategic locations to attain the desired result. However, we did notice a few glitches in its design. For instance, the power cord starts from the back of the machine as opposed to from the side, thus resulting in frequent snags. Similarly, the adjustment knob is so placed that it almost always becomes impossible not to rest your hand on it and screw up the depth settings during a project. For its price, the DW680 is a mini beast of a planer. 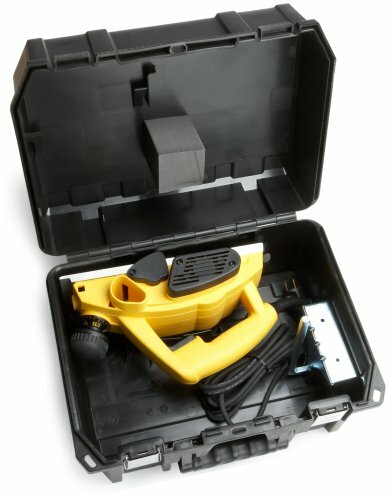 It’s great with hardwoods and therefore an awesome planer for trimming and tapering applications of wooden doors, windows, soffits and the types. However, unlike its bench top counterpart, it doesn’t offer a great deal of control. But, once you get the hang of it, the DW680 is an absolute charm to work with. 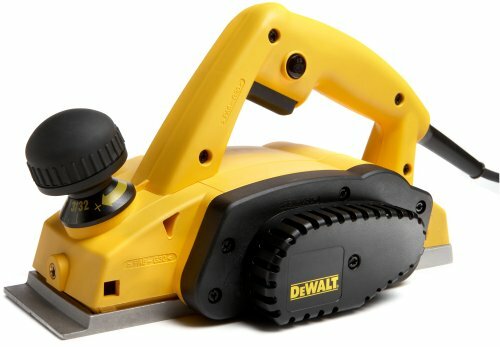 So, where can you buy this planer? 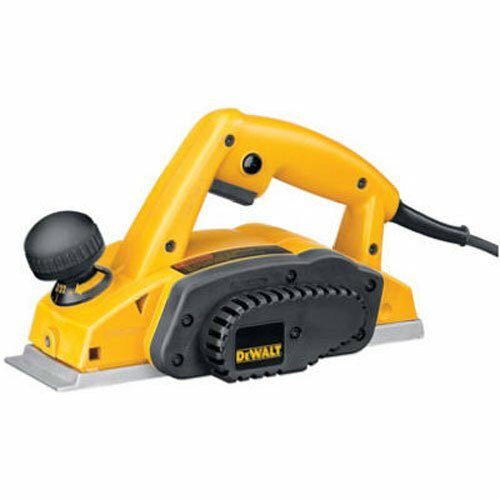 After searching far and wide online, we zeroed in on Amazon.com as the best place to purchase the DeWalt DW680K Hand Planer. 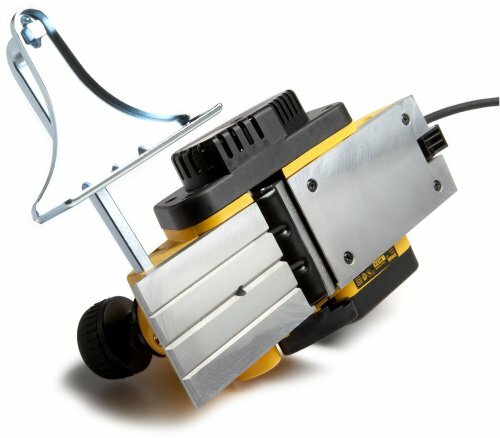 If you would like to learn more, or simply buy this planer, check out Amazon.com. Pros: High 7 Amp power with plenty of revolution and a precise depth control system. Cons: Cable tangles at the back because of its placing, the front knob doesn’t have a lock for depth.